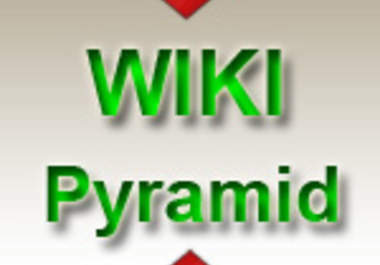 After Google updates Panda and Penguin wikilinks kept they importance and authority in Google eyes.So I will build safe Powerful Contextual Pyramid of 500 wiki properties on first level and 2000 backlinks (on 1000 unique domains,2 links per wiki) on second level. I accept one url and unlimited keywords. I will generate article related to your niche if you don't have yours.